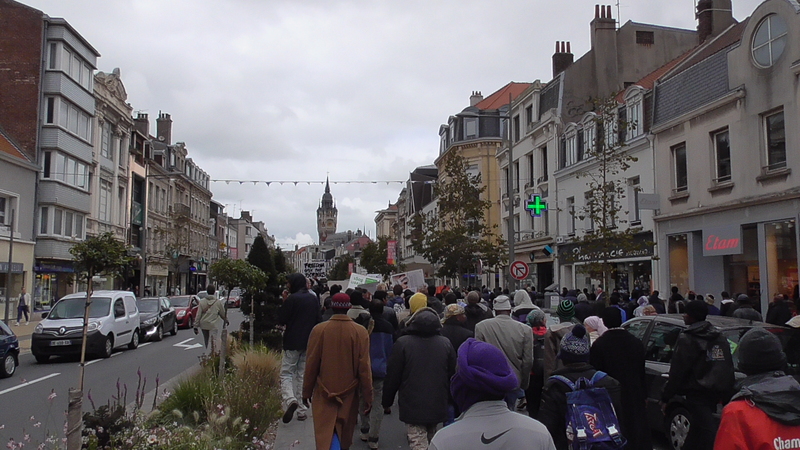 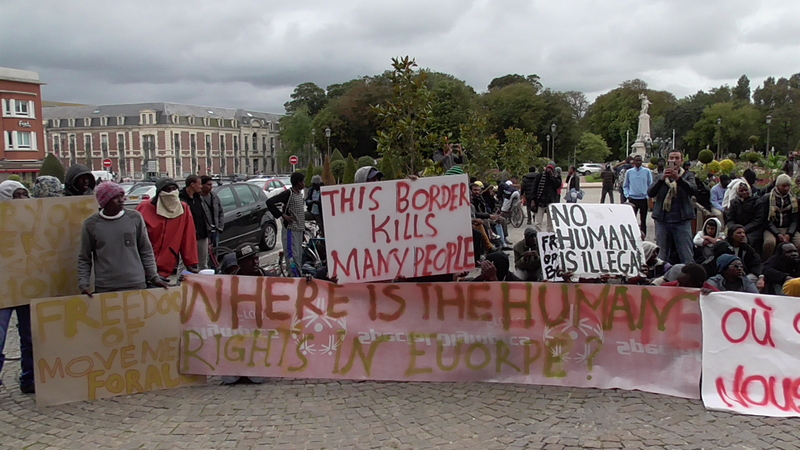 Today again over 300 migrants went from the jungle to the centre of Calais, marched down boulevard Jaquard and past the theatre and back to hold a sit in in front of the Town Hall, chanting ‘no jungle’ ‘open the border’ ‘we are not animals’. 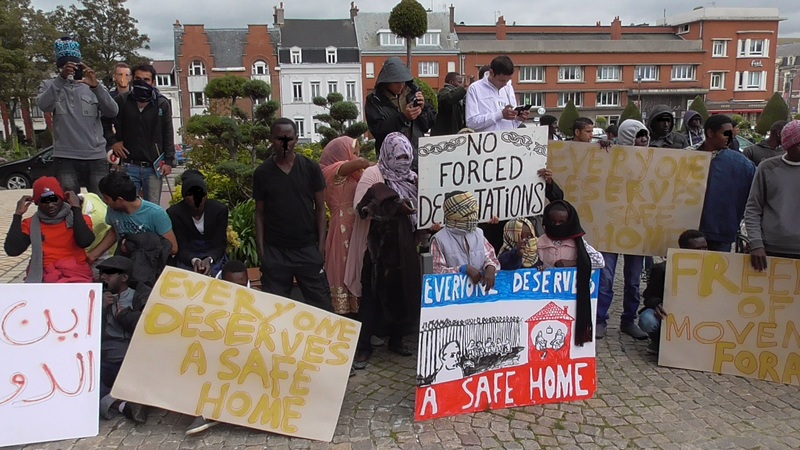 Strong presence of women with some young children, all with faces covered. 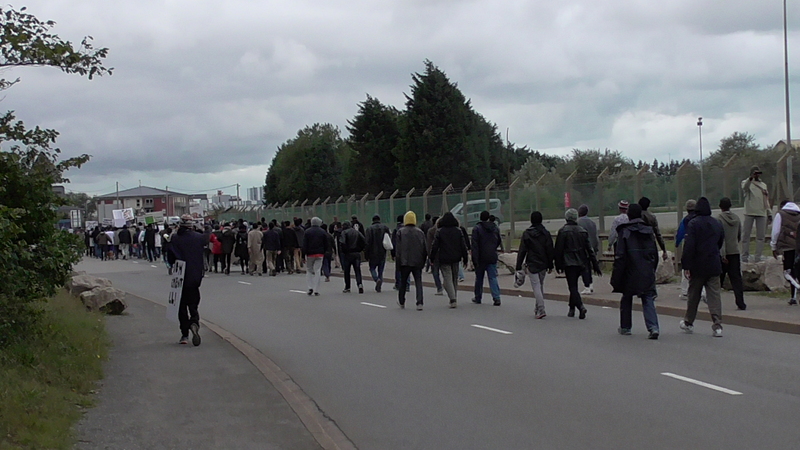 Protests will continue every day until a positive result is reached.